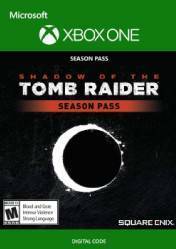 This version of Shadow of the Tomb Raider Season Pass is for Xbox One and is the season pass of the new delivery of our beloved Lara Croft, Shadow of the Tomb Raider. Remember that this product can be available in digital version and in physical version. The digital version can have regional blocking, so pay attention in each of the stores to this type of information. Among the contents provided by this title are a multitude of new challenges and adventures for Lara. It will unlock 7 challenging tombs, along with 7 weapons, outfits and unique abilities. It also includes several narrative side quests.